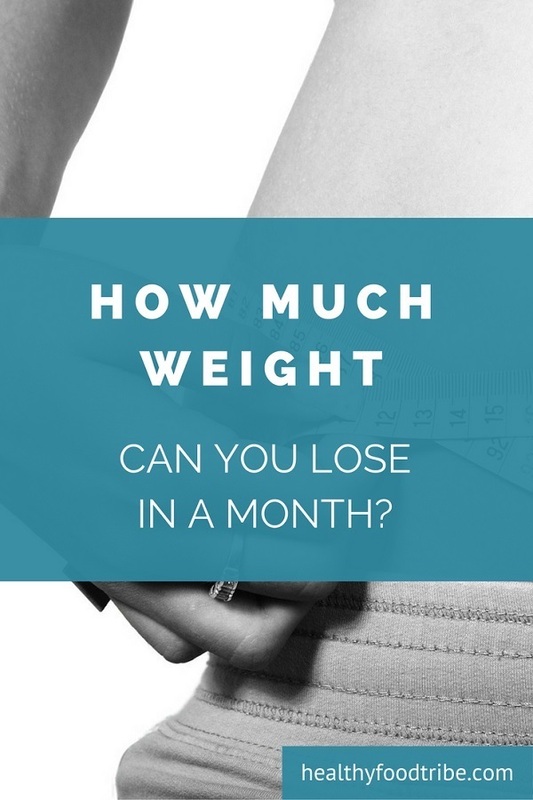 →How Much Weight Can You Lose in a Month? Your overall health and any health conditions you may have, such as chronic fatigue, hormonal imbalances, etc. Your ability to lose weight is greatly influenced by your metabolic rate. The more muscle mass you have, the faster your metabolism, the more weight you will be able to lose. In other words, muscles are the best weight loss program! Whey protein helps with building muscle mass. Another factor affecting weight loss is your overall health. Hormonal imbalances, chronic fatigue and other conditions can slow down fat loss. Also, the older you are, the harder it becomes to maintain a healthy weight. Lifestyle factors, such as your current diet, exercise habits, and everyday stress, influence your ability to lose weight too. Stress increases cortisol levels, causing your body to store fat. Your diet accounts for over 80% of your efforts to lose fat, so it’s essential to eat clean. Not even the best workout plan can compensate for bad eating habits. All these factors combined can make or break your weight loss progress. You need to burn 3,500 calories more than you consume to lose one pound. This means that if you consistently burn 500 calories more than you consume each day during 4 weeks (28 days), you will have lost 4 pounds after these 4 weeks (28 * 500 = 14000 / 3500 = 4). So how do you go about losing weight? Here are a few methods that can guide you in the process. If you use the above rule of thumb, you can make your weight loss journey a numbers game. Keep a daily food journal or use a smartphone app and track the calories you are taking in each day. Burn more calories than you consume and you will lose weight. Keeping track of what you’re eating every day can be a real eye opener! The quickest way to lose weight is to intensify your cardio workouts. Yes, many of us hate doing cardio, but it is the most effective way to burn fat. If running is not your thing, try cycling, swimming, boxing, or even dancing. If you don’t have time for extended cardio workouts, try a high intensity interval training (HIIT) session. This type of training involves short bursts of intense cardio exercise combined with short recovery breaks. But as stated above, muscles are a great fat burner too, so it’s important to add strength training to your workout schedule. Not only will it help you to lose weight, it will also tone your body. If you’re not used to regular exercise, build it up slowly. Allow your body to slowly get used to your new lifestyle and give your body enough rest to recover from your workouts. Keeping track of your calorie intake each day can be hard. And not everyone has time to commit to an intense workout regime. However, eating healthy is something we can all do. Focus on fresh fruits and vegetables every day, lean meat such as free-range chicken, fatty omega-3 rich fish (or fish oil supplements) and healthy snacks such as almonds, seeds, (Greek) yogurt and eggs. It’s also important to drink lots of water as this will promote weight loss. Losing weight is not about starving yourself. Your body needs fuel to function and food is fuel. Don’t be afraid to eat when you’re trying to lose weight. The key is to eat healthy and nutritious food. Check out this excellent weight loss calculator that helps you to determine how much weight you can lose following specific calorie diet plans. Make sure you set realistic goals. Most people can easily lose 10 pounds in one month. If you work out hard and stick to your healthy diet, you could shed up to 15 pounds. However, it’s better to do it gradually. Extreme diets and strenuous training don’t work in the long term because it’s not sustainable and it puts too much stress on the body. Losing 10 pounds in 1 month or 4 weeks is easier for someone who weighs 200 pounds than it is for someone who is 100 pounds. For the average person, losing 8 to 10 pounds in one month is an achievable goal. All it takes is regular exercise and a well-balanced diet. As you progress, you can push yourself harder to speed up weight loss. Unrealistic goals are a recipe for failure. Rather than setting large goals that can be overwhelming, it’s better to have smaller goals that you can easily achieve, step by step. Give your body time to adapt to exercise. Clean up your diet and change your eating habits gradually. Be patient and the results will come. We all have cravings, especially in the afternoon when we tend to feel a bit lethargic or tired. If you have a craving for unhealthy snacks, or if your meals are simply too big, try and eat volume dense foods that will make you feel full. Eating fruits and nuts as snacks throughout the day is a great way to drop a few extra kilos. And over time, you will find that your cravings for unhealthy snacks will simply vanish. I know it can be hard for some to suddenly start exercising, but there are a lot of little things you can do to start moving without having to go to the gym everyday. Walk the stairs up to your office instead of using the elevator. Go for an afternoon walk in the park; 30 minutes each day will do you wonders. Do simple at-home exercises each day, such as 5 sets of 20 body squats or lunges. These activities won’t cost you much time and you will definitely reap the benefits in the long term. Don’t use the scale each day, because it can be somewhat demotivating if you don’t see immediate progress. Weight loss should always be a long term plan so there is no need to get obsessed with the scale. Check yourself every 2 or 3 weeks and you may be happily surprised, and also motivated to keep going with your weight loss journey. Processed foods, and refined foods, often contain nasty ingredients that are not good for you, and they also tend to be high in refined sugar. Eat healthier, more natural, alternatives instead. Eat an apple instead of a chocolate bar. Eat wholemeal bread instead of white bread, etc. There is no miracle diet that makes you lose a lot of weight in a short amount of time in a healthy, responsible and sustainable way. Your focus should not be on how much weight you can lose in 1 month or 4 weeks. Weight loss, and maintaining a healthy weight, is a long-term goal. This will always be a matter of making the right lifestyle choices, eating healthy food and exercising regularly. If you maintain this healthy lifestyle, your body will ultimately find its perfect balance between weight and health that works best for you. Weight is just a number, health is much more than that. Set yourself healthy, realistic long term goals taking into account your current lifestyle and health situation. Don’t aim for rapid weight loss. Not only can this be risky, but you will most likely get that weight back again, soon after you stop your rapid weight loss regime. Healthy nutrition and exercise will get you long term results.